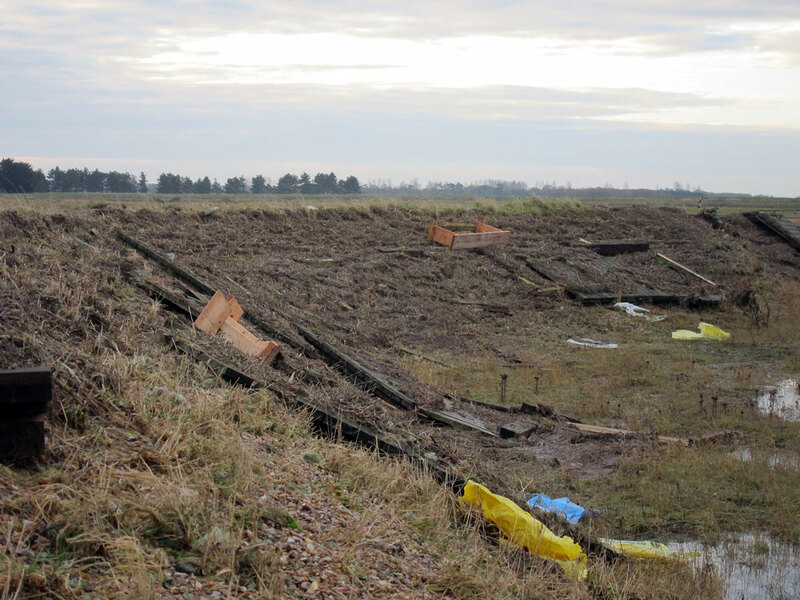 Snettisham RSPB, after the tidal surge. 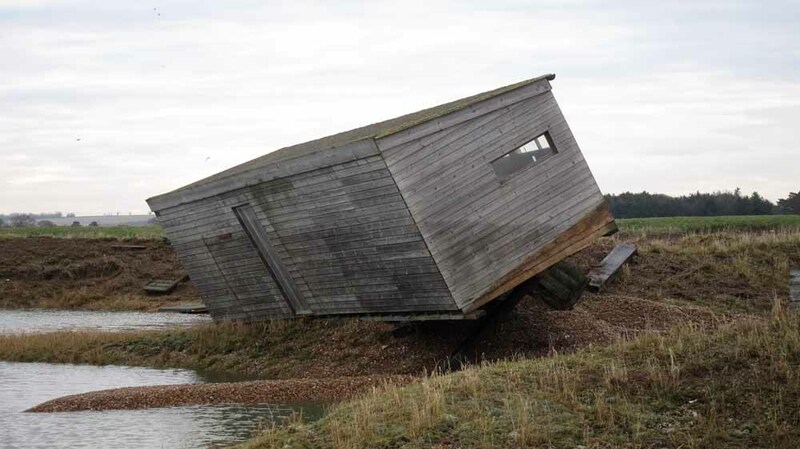 I’m staying with the family Eele in Norfolk for a few days, which has happened to coincide with the worst tidal surge in recorded history. 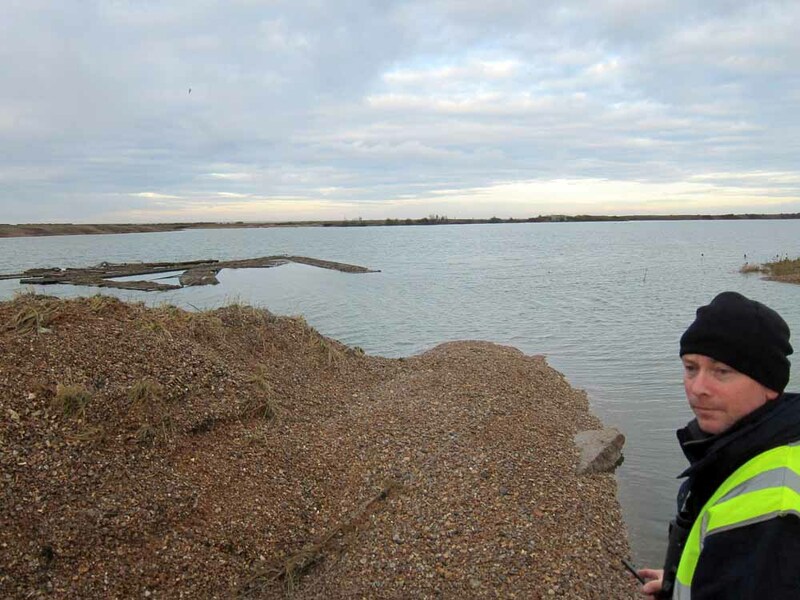 So this morning I went with RSPB warden Paul Eele down to Snettisham RSPB to view the damage done by the tidal surge. The pictures speak for themselves. For anyone that knows the site, you’ll see that the pits are full of water, way above their usual levels. 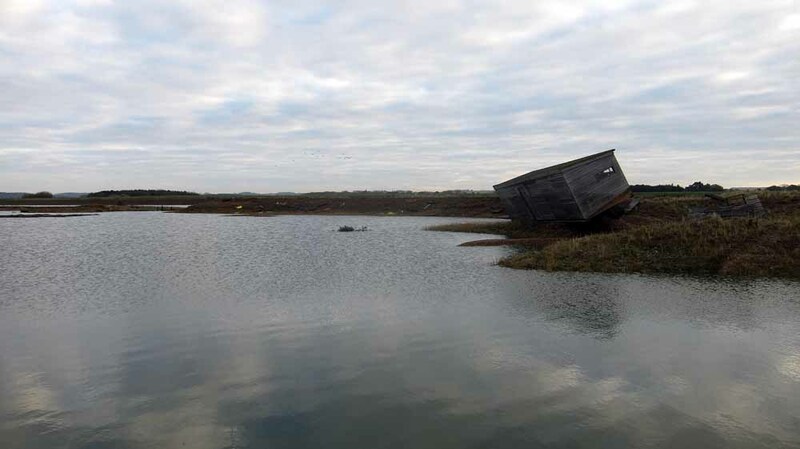 The first hide (Rotary Hide) seems to have survived ok, but the second one (Shore Hide) got hit badly. 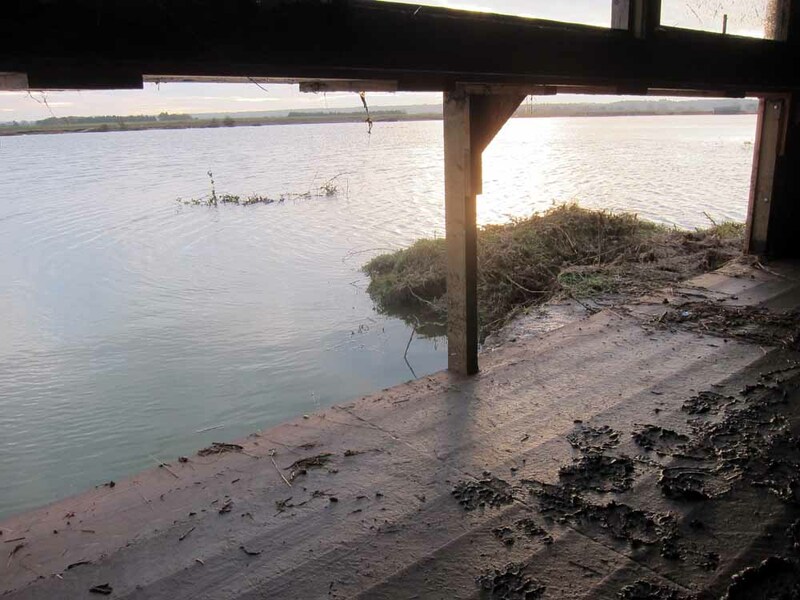 The waterline is halfway up the hide windows! The roost bank has gone. Its been replaced by a huge hole and a shingle delta! 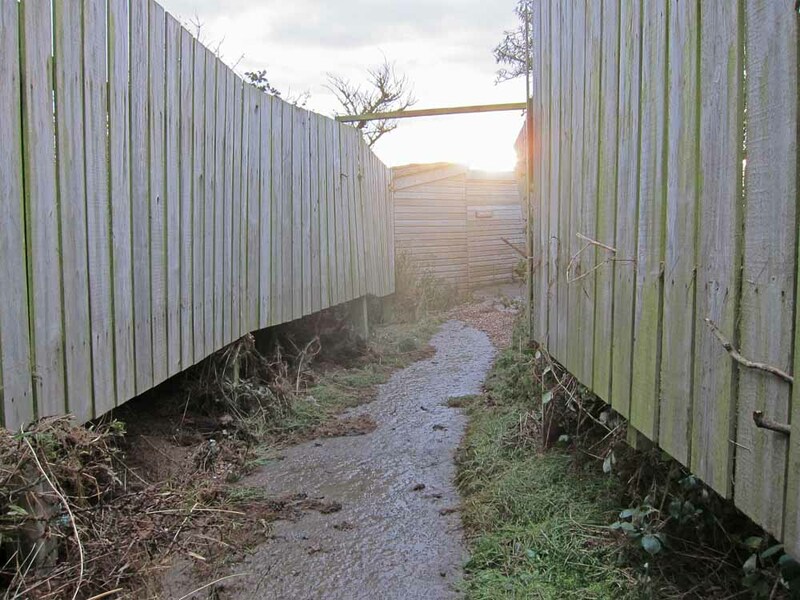 Sanctuary Hide has been picked up, turned 180 degrees and set back down in almost the same spot! We have no idea how that happened, but now the door is facing the pit and the windows are facing the sky! 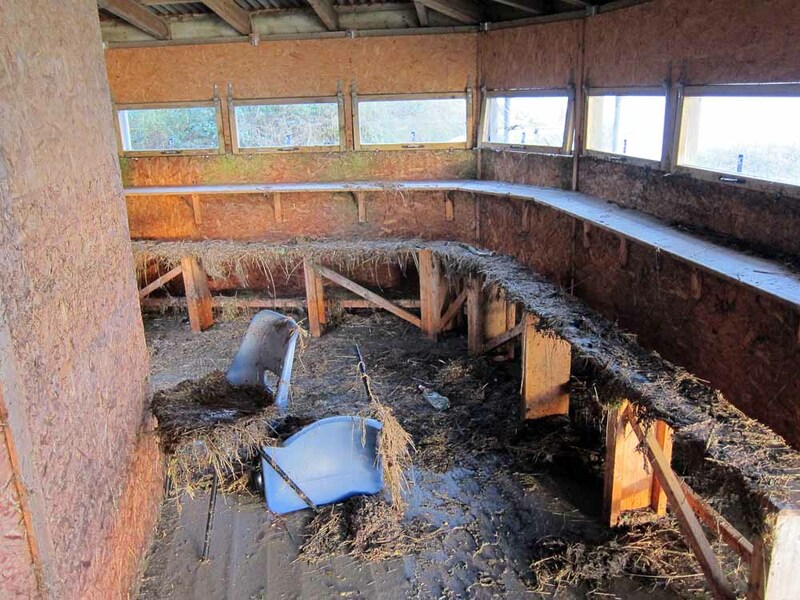 RSPB may be branching out into other areas of wildlife, but this new astronomy hide will take some getting used too! 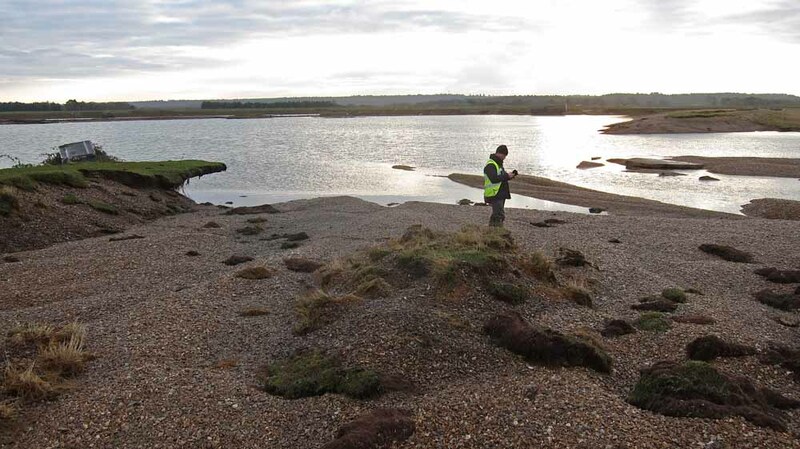 Paul Eele surveying the site where the Roost Hide used to be. It has completely gone! All that was left in situ were these two benches! 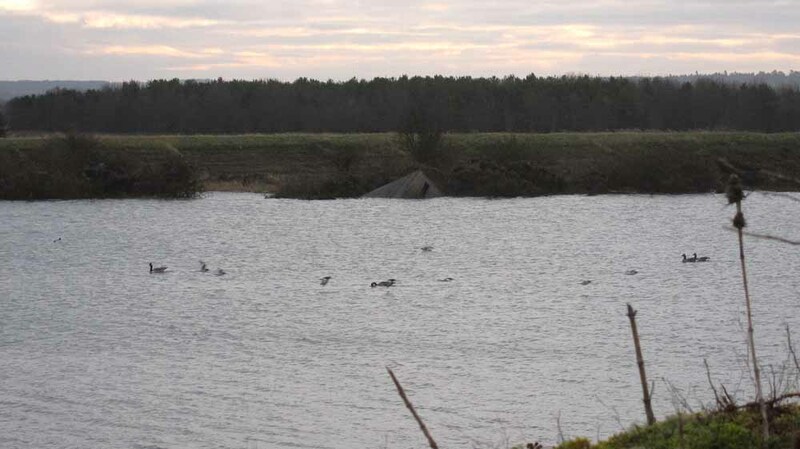 The Roost Hide (well, part of it at least) was discovered about half way up the pit, almost completely submerged. 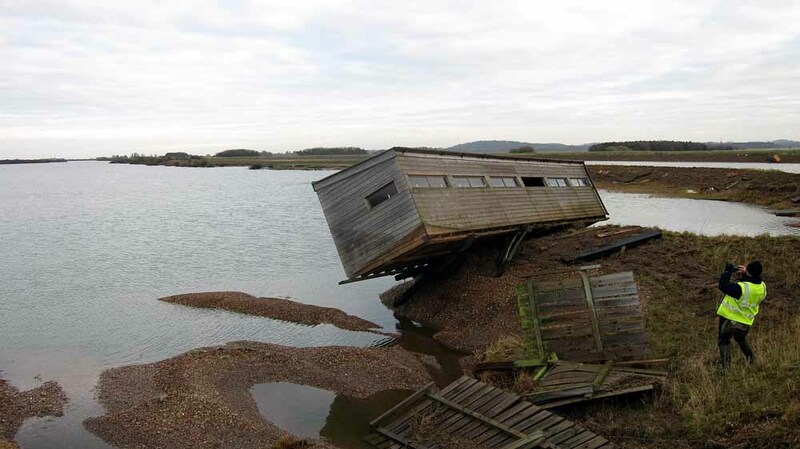 We assume that the rest of the hide has sunk! At least the habitat should bounce back fairly quickly at Snettisham, although the Red Hempnettle may have been lost. 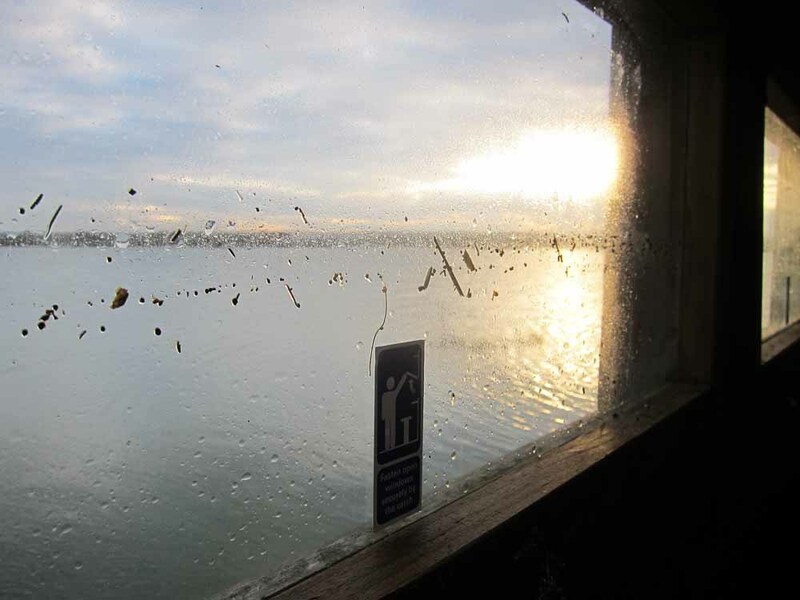 Whether the hides get replaced is another matter, so a visit to Snettisham will be a different experience from now on. Obviously the damaged hides are closed off to the public. 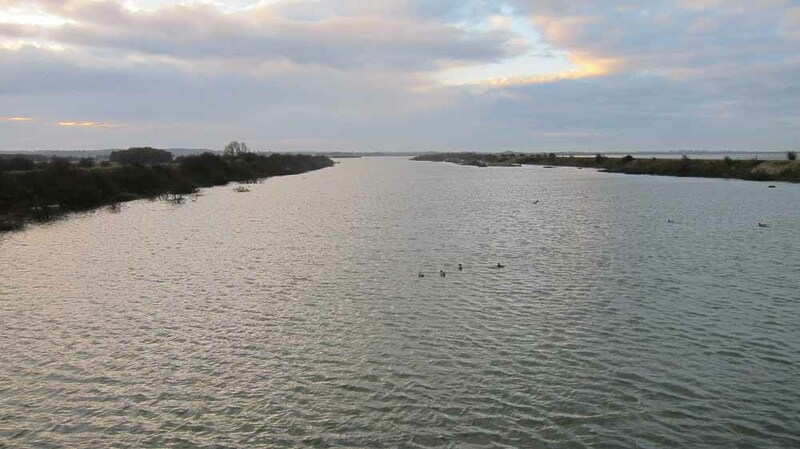 Paul – Wow what a mess at Snets, Frampton and Freiston came off scot free so I believe.